Catholic Relief Services is lobbying for billions of dollars to go to groups that push contraception around the world. The Lepanto Institute has released its latest groundbreaking report on CRS' lobbying efforts, showing that CRS is making its largest ask yet: nearly $9 billion. CRS is making its largest ask yet: nearly $9 billion. On March 12, William O’Keefe, CRS' Vice President for Mission, Mobilization and Advocacy, testified before the House subcommittee on State, Foreign Operations and Related Programs and requested a total of $8.665 billion for allocation to the U.S. Agency for International Development (USAID — $1.175 billion), the President's Emergency Plan for AIDS Relief (PEPFAR — $5.93 billion) and the Global Fund ($1.56 billion). According to the Lepanto Institute's report, "[A]t no point did O'Keefe indicate that such funding for USAID, PEPFAR or the Global Fund should not be used for the spread or promotion of contraception or condoms." It's a palpable discrepancy between requesting taxpayer money for federal agencies that push contraception and being an organization that has the word "Catholic" in its trademarked moniker. Catholic Relief Services is the international charitable arm of the U.S. Conference of Catholic Bishops (USCCB). USAID was initially established as a program for population control through the Foreign Assistance Act of 1961 and has evolved into the largest distributor of birth control in the world. George W. Bush announced PEPFAR to fight HIV/AIDS in his State of the Union address in 2003. Congress acted quickly, passing legislation to authorize PEPFAR only four months after the address. "PEPFAR is deeply involved in the promotion and distribution of contraception, including abortifacients," according to the Lepanto Institute's report. The Global Fund was established in 2002 as a public-private partnership to fight tuberculosis, malaria and AIDS. The group has distributed funds directly to Planned Parenthood, the nation's largest abortion chain. It funds abortion through the principle of fungibility, as Live Action explains in a video titled "Taxpayer Funding of Abortion at Planned Parenthood." These are the contraception-pushing agencies for which CRS requests a total of $8.655 billion of taxpayer money. For the past three years, the Lepanto Institute has been providing in-depth reports on the U.S. bishops and CRS' ongoing attempts to receive billions of taxpayer dollars from Congress to distribute to federal agencies that provide and promote condoms and other forms of contraception, including abortifacients. In 2016, the USCCB and CRS petitioned Congress for roughly $6 billion to distribute to USAID and PEPFAR, two organizations that jointly supply the greatest amount of contraceptives in the world. In the following years, the USCCB and CRS' requests for taxpayer dollars included seeking funds for allotment to the Global Fund, an organization that has distributed funds directly to Planned Parenthood. Writing for the Capital Research Center in 2017, Steve Warner noted that "CRS has been caught numerous times over the last 10 years supporting organizations whose missions and activities conflict with the fundamental teachings of the Catholic Church." Organizations including the Population Research Institute, The Lepanto Institute and Church Militant have been reporting on CRS and calling for accountability and reform for years. Church Militant spoke with Dr. Christopher Manion, a Knight of Malta and Director of the Population Research Institute's Humanae Vitae Project. "Ken Hackett headed CRS for 20 years before Obama made him his ambassador to the Holy See," Manion said. "Hackett once bragged to a senior AID official that he'd 'never hired a Republican that [he] knew was a Republican.'" Senior officials at CRS have never denied the statement. Manion added that CRS is "just another entrenched bureaucracy elbowing their way to the federal trough for more taxpayer dough." 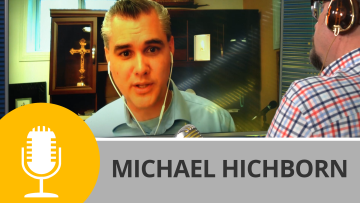 Church Militant also spoke with Michael Hichborn, president of The Lepanto Institute, who said, "When any organization lobbies on behalf of another, it raises their profile and their esteem in the eyes of the second organization. It sends the message, 'I'm willing to give you my name, my reputation, and my good will in the eyes of those who will be voting on your budget by lobbying on your behalf.'" "In return, the agency benefitting from the funding they received through lobbying efforts will have an opportunity to express gratitude by awarding certain grants on behalf of the lobbying organization," he explained. According to Hichborn, it's a matter of simple math: "If there is more money in the granting agency's coffers, then there is more money to be obtained through grants. As they say, 'A rising tide lifts all boats.'"